Precision Screen and Security Products offers a selection of door and window products that combine innovative designs with the high quality standards our customers expect. We extend our customers the convenience of global accessibility while maintaining a friendly, service-oriented attitude. Customer service is what drives our company and we strive to cover all aspects of our products, including installation tutorials via YouTube. If you do not find what you are looking for on the menu to the left or have any questions, please do not hesitate to contact us. We value your feedback. Below are some of our capabilities. Precision has the ability to shape, size and cut all of its own screen frame and accessory material. A specialized, computer-managed cutting and milling machine used to customize and create new and innovative products. Precision utilizes a custom prototyping machine to design, develop and produce accurate, 3-dimensional prototypes from 3-dimensional CAD drawings. Precision has the capability to handle huge volumes of fencing, gates, security doors, window guards and more. Call us for quotes on your next project. We have a fleet of trucks that stand ready to deliver throughout the Southwest and beyond. Future plans will include nationwide availability and coverage. Precision�s line of Steel Security Products. 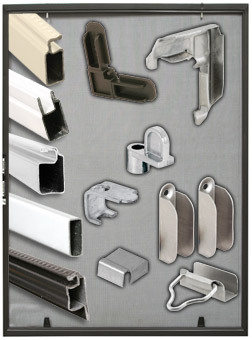 These products are manufactured at our Redlands, CA facility. All items are welded, assembled and finished using high quality raw materials and state of the art equipment. All of our domestic steel security and storm doors can be custom designed to the size, style and color of your choice. Precision has the abilitly to build fencing and gates to your exact specifications. 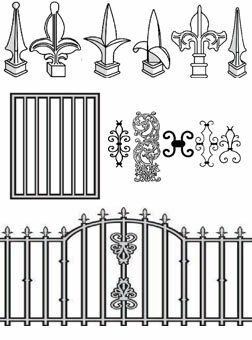 We have a design department that will work with you to make all of your fencing dreams come true. 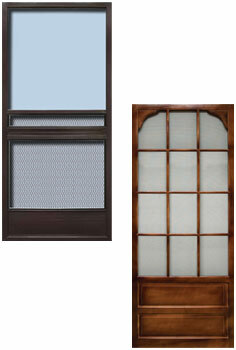 Several of our Precision wood screen doors are available as a custom door. Custom sizes, finishes and wood options are avaliable which allows you to build the perfect door. 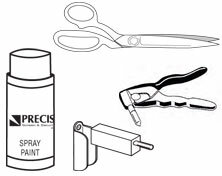 We carry, corners, clips, fabric, spline, fasteners and a full compliment of screen shop specialty tools to help you get any screening job done. Precision makes all of our own roll formed screen frame in house in our roll forming department. Precision carries pet doors for almost any application. 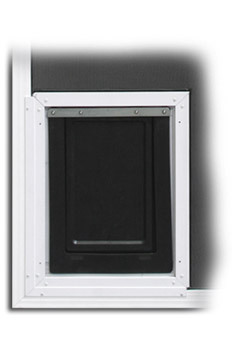 Pet doors that can be mounted in the screen section of a screen door. Pet doors that can be temporarily put into place on your sliding glass door, and removed when not in use. Precision stocks a full line of screening tools. 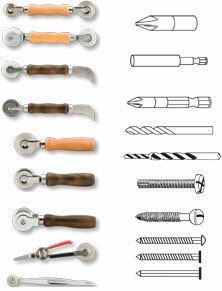 From homeowner quality, all the way to professional quality, we have the tools to make the job easier.